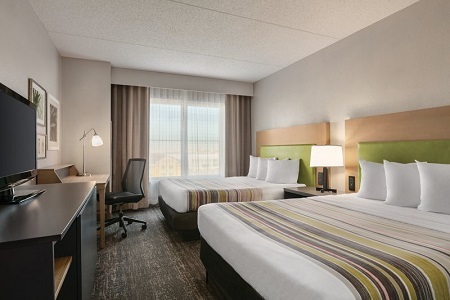 Just two miles from Newark Liberty International Airport and a half-hour train ride from NYC, you’ll find comfortable accommodations at the Country Inn & Suites® by Radisson, Newark Airport, NJ. 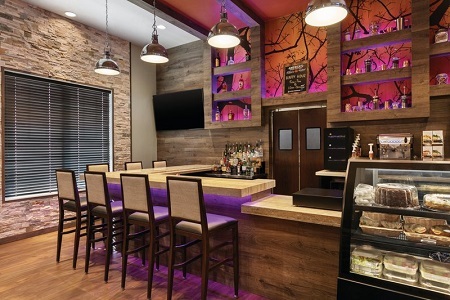 Whether you’re stopping by for a break on your way to the Big Apple or want to explore local area around Elizabeth, New Jersey, our family-friendly hotel makes vacations a breeze with a complimentary, hot breakfast and free shuttle service to and from the airport. 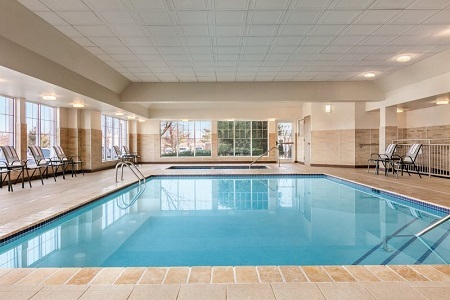 When you’re not exploring New York City, take advantage of on-site recreation with a heated indoor pool, a hot tub, a fitness center and free Wi-Fi. Make your stay extra special with one of our suite options. We also offer accessible rooms and features so that every guest feels at home. 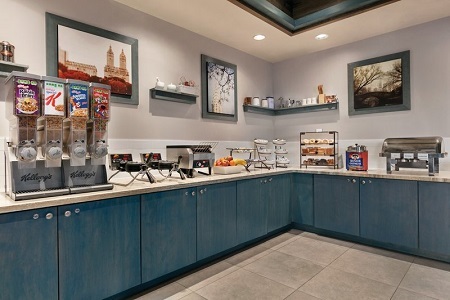 Start each day with a complimentary, hot breakfast featuring morning staples like eggs, biscuits, fresh fruit and cereal. Don’t forget to stop by the waffle station to create your own warm Belgian waffle. For lunch or dinner, you can visit local restaurants like the Commerce Food Court, a quality buffet of varied selections. The Spanish Tavern offers complimentary round-trip transportation from the hotel for dinner Sunday through Friday. Liberty State Park – Visit one of America’s most famous parks, just outside Elizabeth and only 11 miles from the hotel. Liberty State Park provides access to the Statue of Liberty and a popular place for cyclists, skaters and joggers. The park offers bicycle rentals, miles of trails and kayak ecotours. Liberty Science Center – Kids can explore technology and nature at the Liberty Science Center. In addition to interactive displays, the center features the largest IMAX Dome in the western hemisphere and a 3-D theater. Newark Museum – Just seven miles from the hotel, you can explore Tibetan art or American masterworks at the Newark Museum. The collection includes pieces by John Singer Sargent and Georgia O'Keeffe. 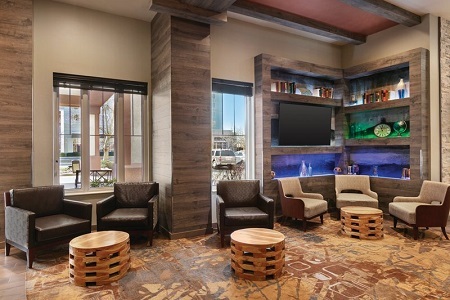 Take advantage of our hotel’s 400-square-foot event space conveniently located two miles from the EWR airport. Meeting delegates appreciate our free shuttle service, free Wi-Fi and wet bar. With a capacity of up to 16 guests, our event space makes an accommodating location for business seminars and intimate social events. Please note: There is an overnight parking charge of $10. With the exception of military personnel (ID required), guests must be 21 years or older to check in.